In addition to the work that we do on garage door springs, you can also find us installing new garage doors, repairing and replacing garage door openers, repairing and replacing garage door remote clickers, replacing garage door windows, setting garage doors back on their tracks when they get off of them, etc. The list really goes on when it comes to describing everything that we can do for garage door problems that our customers encounter. The truth is that there is not a garage door problem that we can’t and will not handle. Whatever you have in regards to your garage door lay it on us and we will let you know what it is going to take to fix it. Never let the fear of getting a garage door contractor who is unskilled in working on garage doors dissuade you from calling us for our garage door services. You can rest easy knowing that each and every one of our contractors is trained in every aspect of garage door installation and repair. If they are not experienced, then they do not work for us. It really can’t be any simpler than that. 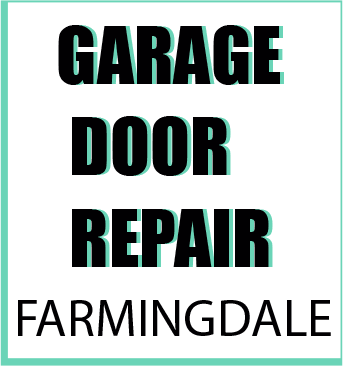 we know that you should choose us as your Farmingdale garage door company. We may be biased, but we believe that our garage door service is the best in the area. We provide top notch customer service as well as the highest quality garage door work in the region. You just can’t find any better reasons to try us out, so give us a call today and let us know how we can fix your garage door.